What type of access can we help you with? Please click an option below. I am a parent or legal guardian requesting access for a patient under 18 years old - Parent or legal guardian completes steps. For children 13 -17 years old, the health information you'll be able to view will be limited. When your child turns 18, your access will be turned off completely. Your teen child can choose to give you full access in both of these cases by completing and submitting the proper forms - please see Option 3 . The access is changed at these ages because of legal requirements. These age limitations do not affect any legal right you have to access your child's record by other means. I am a UNC Health Care Patient. I am NOT a UNC Health Care Patient. I have an active My UNC Chart account. Sign in to your account by clicking the button to the right. Complete and submit the form. You'll be automatically directed to the form once you sign in to your account. You'll receive a message when access has been given. If you haven't heard from us in 3-5 business days contact us at 888-996-2767. I do not have an active My UNC Chart account. Sign up for an account by clicking the button to the right. Sign in to your account. Select the 'Preferences' tab. Select 'Proxy Access Request'. 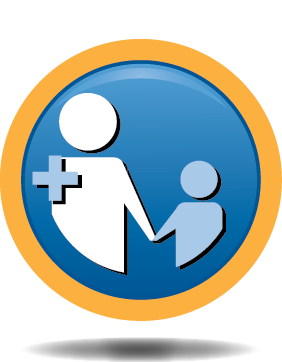 Select the Parent/Legal Guardian Access to Minor Patient's Health Information In My UNC Chart Form. Complete and submit the Parent/Legal Guardian Access to Minor Patient's Health Information in My UNC Chart form by clicking the button to the right. You'll receive an email after you've submitted the form. If you haven't heard from us in 3-5 business days contact us at 888-996-2767. Follow the instructions listed in the email to activate your own My UNC Chart account which will allow access to your child's account. I am a family member or friend requesting access to an adult or emancipated minor's health information in My UNC Chart. Patient is another competent adult. Patient is incapacitated or incompetent adult. Patient is incompetent emancipated minor. The patient must complete Option 3 to request that access be given to you. Note: You must have power of attorney or legal guardianship. Select the Authorization for Health Care Power of Attorney or Legal Guardian To Access Health Information in My UNC Chart form. Complete and submit the Authorization for Health Care Power of Attorney or Legal Guardian To Access Health Information in My UNC Chart form by clicking the button to the right. I am a patient 13 or older requesting that access be given to another person - Patient completes steps. I have a My UNC Chart account. I DO NOT have a My UNC Chart account. 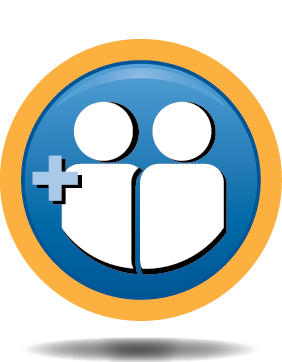 Select the Authorization for Another Person To Have Access to My Health Information In My UNC Chart Form. Need assistance? Call UNC HealthLink at (888) 996-2767. * Access to another person's account is also known as proxy. Access by proxy will only be granted if, and only to the extent, deemed clinically appropriate and allowable under North Carolina and federal law. Proxy access is also conditioned to compliance with the My UNC Chart Terms and Conditions.